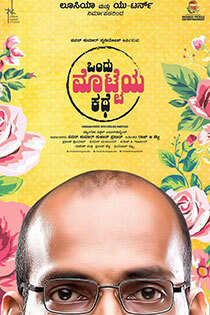 Ondu Motteya Kathe (EGGHEAD) is simple tale of a young bald man trying to find his soulmate, who would see the person he is and not the shine up his forehead. Good story & Good performance without the *useless superstars*. Rather spend my time on such movies. Feel good movie, we can watch it with family. But, We have seen lot of movies like this. so good to see kannada movies to be of some sense. Very good movie. Want to watch it again. Beautiful story and natural acting. Nice movie & good message. Worth to watch. Can i request for the subtitles?